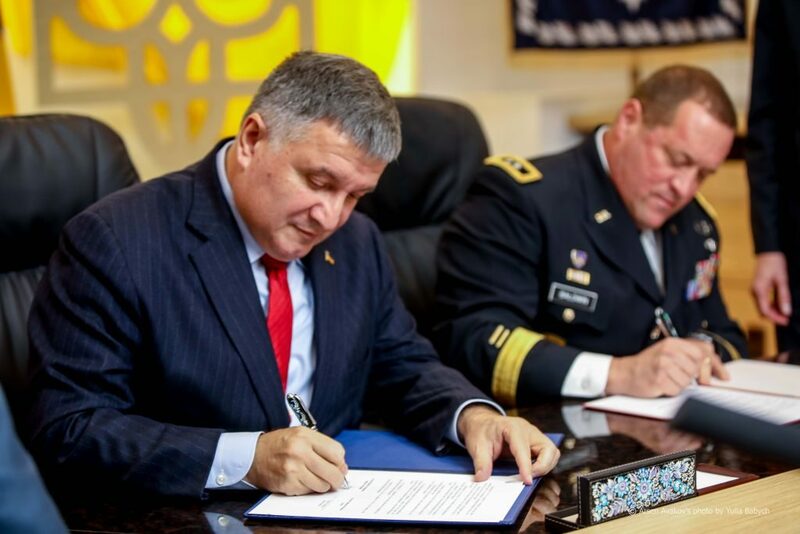 Today, on October 9, 2018, the Minister of Internal Affairs Arsen Avakov and Commander of the California National Guard (USA) David Baldwin signed a Memorandum of Intent providing for a whole range of cooperation programs with the National Police, the National Guard, the State Emergency Service and the State Border Guard Service of Ukraine. Within the framework of the Memorandum, the parties agreed on several key areas of cooperation. The Ministry of Internal Affairs of Ukraine and the National Guard of California will share experience in countering threats of the use of weapons of mass destruction via a joint program of action on radiation, chemical, biological and nuclear safety. 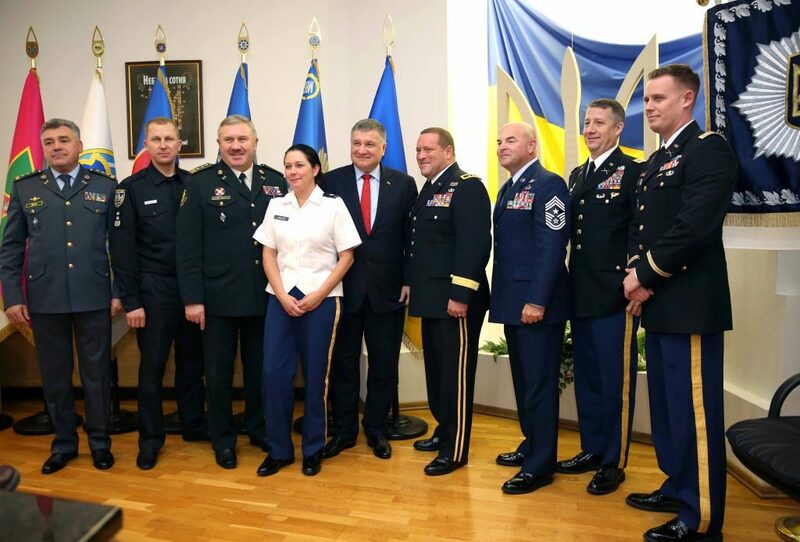 As part of the creation of the aviation security system of Ukraine, joint training of American national guardsmen from a special aviation battalion with Ukrainian border guards, rescuers, national guardsmen, and police officers will be organized. 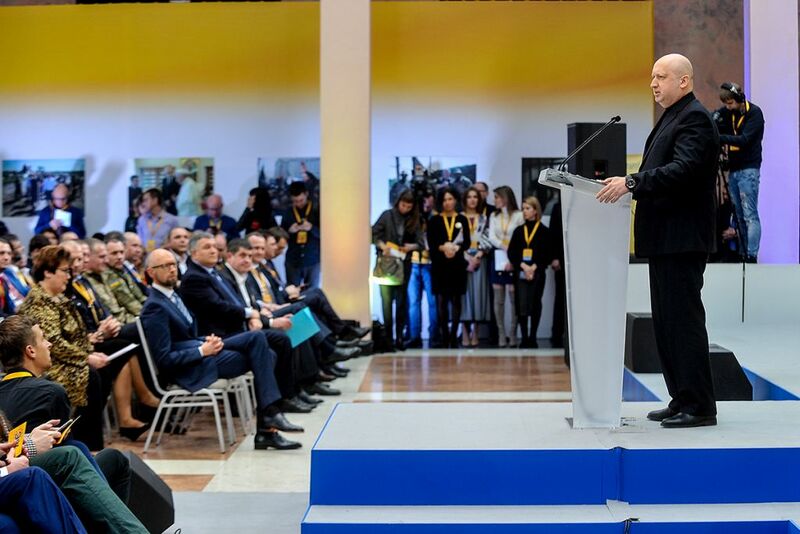 New areas of cooperation in the state border protection will be introduced, in particular, in the fight against cross-border crime. The program for training specialists and improving the training centers of the National Guard of Ukraine will continue. The American side is ready to share its experience in organizing the restoration of infrastructure damaged by emergencies and the return of displaced persons. 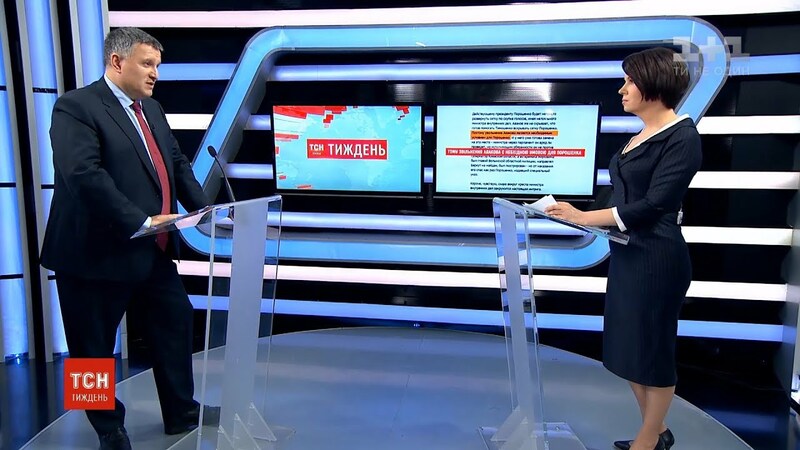 This topic is potentially particularly relevant for the Ministry of Internal Affairs of Ukraine in the context of future de-occupation and revival of the temporarily occupied territories of Donbass. 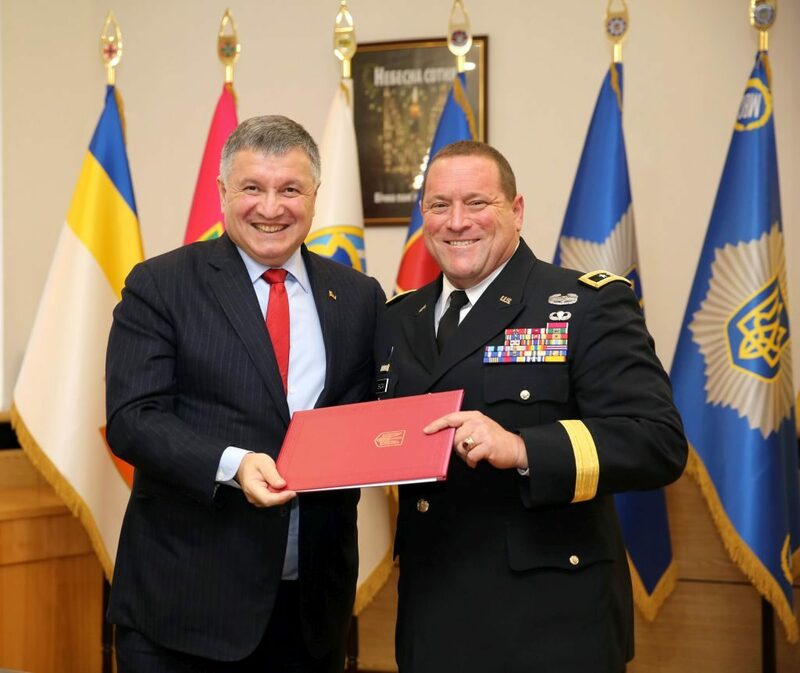 The California National Guard Commander David Baldwin expressed interest in developing cooperation in the field of cyber defense and noted that his department is extremely interested in the accumulated experience of Ukrainian colleagues, and in establishing a permanent exchange of operational information. The California National Guard also has an effective analytical information processing and threat assessment service. “A memorandum of intent between the MIA and the California National Guard is an additional tool to continue our interaction. Bilateral exchange of experience on the radiation, chemical, and nuclear safety program is a step forward for specialists from both countries. We are very interested in working together in this direction. Our specialists must agree on holding joint exercises in the exclusion zone of the Chernobyl nuclear power plant. 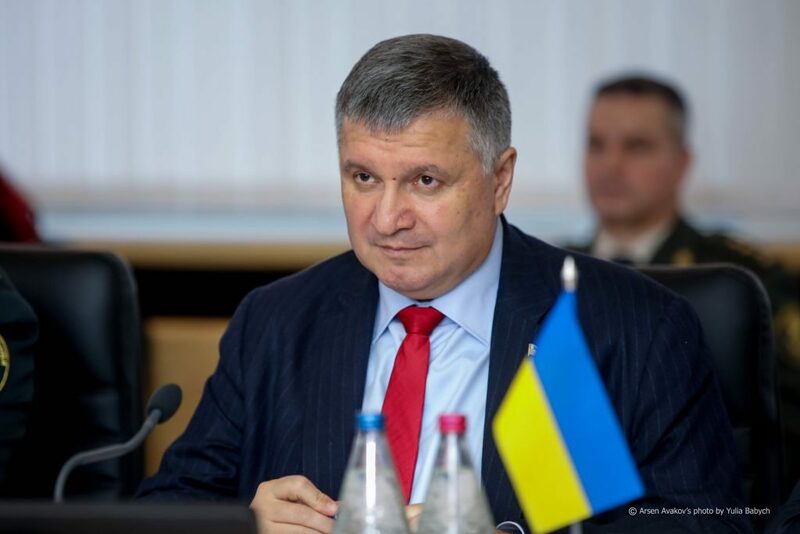 There, it will be possible to look at our methods of radiation control in the real situation”, – noted Arsen Avakov. 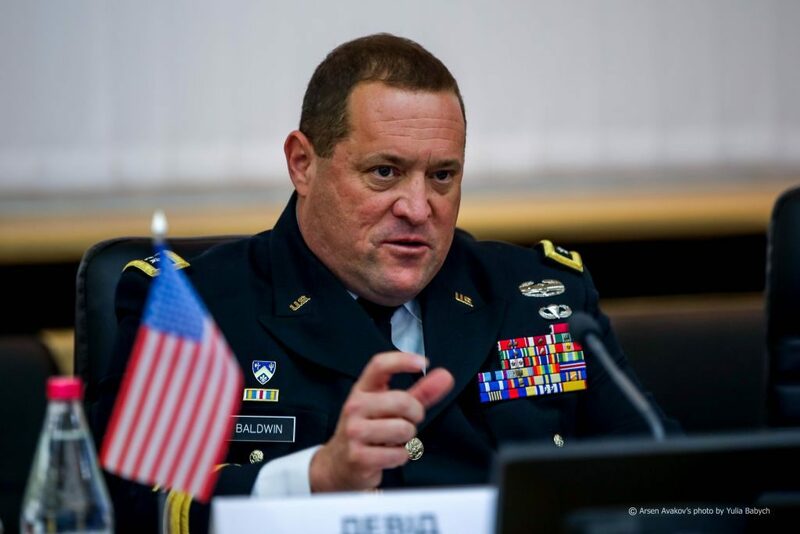 The Commander of the California National Guard David Baldwin said that American specialists are interested in joint exercises with their Ukrainian counterparts. “We welcome cooperation in the field of radiation and chemical safety. In California, we have two units in charge of the prompt reaction to the use of weapons of mass destruction. They immediately respond as soon as they receive the information about the alleged use of the weapons of mass destruction. It would be very useful for the staff of these units if they arrive in Ukraine and undergo certain training along with your specialists. For your units will also be useful to come to California and get acquainted with our experience”, – said David Baldwin. “The Ministry of Internal Affairs is working on the development of its aviation service. Therefore, it is very important for us to maintain communication with you to gain certain experience and knowledge”, – emphasized the head of MIA. In turn, David Baldwin offered to start a partnership between the aviation units of the Ministry of Internal Affairs and the California National Guard. “If we talk about cooperation in aviation matters, then I would like to suggest that we begin a partnership between our aviation divisions. I mean a direct partnership between tactical units. We have an aviation battalion that performs some security protection tasks within the country. We can organize interaction at the level of our headquarters. We can explain how we work on the budget, talk about the planning of operations and maintenance service, as well as crew training programs”, – informed David Baldwin.